Make a lasting impression. Whether you’re celebrating life’s big moments or sending everyday correspondences, skip the email or Facebook post and transform your message into a physical keepsake. Find endless design options, perfect paper choices, and high-quality digital printing for any style, any budget, and any occasion. Follow these 5 steps to create your own paper invitations for your special event! Get access to the Zazzle community with artistic talent of a million+ designers and the global content brands you know and love. Browse through endless inspiring designs for every event theme imaginable. Shop customizable designs to fulfill your vision… or create your invitations from scratch for a truly one-of-a-kind design. High quality, hand-picked selections from the best paper mills around the world, these 4 paper types are perfect for every creation and any occasion. Contemporary yet refined, the Signature collection provides the perfect paper backdrop for simple events and extraordinary life milestones. These thoughtfully curated paper types offer a sophisticated aesthetic with a distinctive modern flair. Ultra-Thick is the ultra-premium selection for those who seek simple sophistication that stands out from the crowd. This triple-thick, hand-pressed paper is suitable for your biggest events and most special occasions. Available on select sizes. When timeless quality is your priority, look to the Traditional Collection for premium papers with formal, clean lined textures. Designed for elegance and milled to perfection, these classic selections will enhance the most special of announcements. Featuring a richly crafted ribbed texture from the art of watermarking, this paper boasts unparalleled craftsmanship. Enrich your invitations and announcements with Laid’s bespoke look and feel, reminiscent of the first handmade paper. Present your event on Linen, a superbly elegant choice for traditional weddings and special occasions. The beautiful texture of embossed lines creates a subtle, yet perfectly timeless impression. A true classic, Columned is a premium weight paper crafted from a sustainable cotton-blend. The timeless, horizontal fine columned texture lends a sophistication that will set the tone for your formal events. The Artisan Collection boasts handpicked options designed to be the canvas for your creativity. Milled with Mother Earth in mind, these premium papers are textured to perfection and ready to summon guests to your Pinterest-worthy events. Like the canvas of a fine watercolor, this Felt selection is thick and textured with an embossed woven finish. The velvety feel and brilliant white color creates an artsy backdrop for your special announcements. Slightly rustic with the finesse of fine art, the Felt Ecru is similar to high quality watercolor paper. A warm and creamy ecru hue, your events will be well-served with this velvet-to-the-touch, textured paper. This delightful earth tone paper has a beautifully smooth texture. Eco-friendly, Kraft is made in a family-owned mill with 100% renewable energy. The au natural look is perfect for outdoorsy occasions that call for a romantic DIY touch. Delightfully extravagant, the Luxe Collection boasts finely crafted paper imported from Italy. These shimmering selections combine traditional excellence with modern elegance to set the tone for your fanciest festivities. The smooth, luxuriously satin texture is artfully enhanced with a shimmer finish. Imported from Italy, this white hued specialty paper becomes a designer backdrop for your most special announcements and important milestones. Your celebration is worthy of the finest bubbly. Prepare for a proper party with announcements set against the backdrop of Champagne’s warm sparkle. Imported from Italy, this specialty paper shines with a luxuriously satin texture. With a shine reminiscent of precious metal, this silver tone paper provides a silky smooth texture that complements the luminous finish. Imported from Italy, select Metallic Silver for your distinctively luxurious occasions. We sourced, sampled, then carefully selected each paper offered in our four collections. Each paper is from one of our world class paper mill partners who not only share our obsession with quality but also our commitment to environmentally responsible manufacturing. Explore our unique paper partners. You’ll soon discover that it’s not just about the paper, it’s about the people behind the paper. 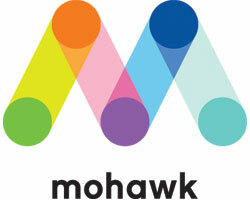 Mohawk is a 4th generation, family-owned premium paper mill with some impressive stats. The first U.S. premium paper mill to shift toward carbon neutral production, Mohawk was also the first U.S. paper mill to match 100% of electricity used in its production processes with certified Renewable Energy Certificates from wind farms. With a conscious understanding of their dependency on basic resources (water, wood fiber, energy) Mohawk has become a leader in socially responsible business practices. From their commitment to the environment to their exceptionally crafted papers, Mohawk is an ideal source for your paper needs. Combining time-honored craftsmanship with advanced technology, Neenah Papers has been at the top of the paper-making class for over a century. Founded in Neenah, WI, this innovative company has committed to sustainability by expanding their offerings made with recycled content and FSC (Forest Stewardship Council®) Certified papers. 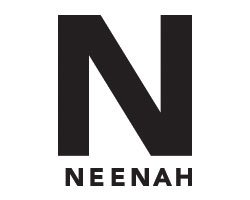 And while Neenah has been crafting high quality paper for over a hundred years, they have seriously reduced their carbon footprint through renewable energy solutions. This manufacturer is a supremely modern choice for your paper products. For over six generations, the family-owned French Paper Company has been a pioneer in recycled papermaking techniques. Made in America, French Paper Co. crafts a majority of their premium paper offerings from post-consumer, recycled, or FSC Certified fibers. Since 1922 French’s papers have been made using 100% renewable hydroelectric energy. 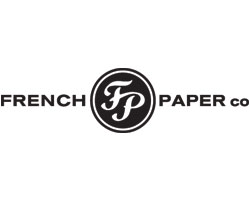 Producing beautiful selections while saving over one million barrels of fossil fuels to date, French Paper Co. is an excellent partner for eco-minded, luxury paper goods. With a papermaking heritage that dates back to 1888, family-owned Fedrigoni knows a little something about fine paper. Founded in fair Verona, Italy, Fedrigoni believes that the future of the industry depends on stewardship and protection of our environment. That belief is central to the way that they conduct business, over 80% of their paper selections are FSC certified, their raw materials are sourced only from suppliers with responsible practices. World class paper plus conscientious manufacturing is truly a winning combination for a successful paper partnership. The need for high-quality invitations extends to the printing process. Investing in industry-leading technology, each invitation offers both standard and high-fidelity digital printing to bring your designs to life. Standard printing uses a full-color spectrum while our high-definition printing increases the vibrancy for brighter, more precise and livelier images. After choosing a design, size, shape, paper type and printing method, the first step of your party planning is complete! The invitation sets the tone for the event. Find an invite that fits your theme whether it’s for a birthday party or a wedding! Share your high-quality, beautiful and customizable invitations on Instagram by tagging @Zazzle!